It is the normal force acting on a per unit area of the surface. The S.I. unit of force is Pascal or N/m^2. 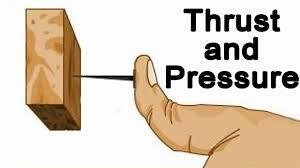 Pressure is directly proportional to the normal force acting. 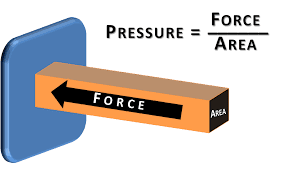 On increasing the force, the pressure increases. Pressure is inversely Proportional to the surface area. 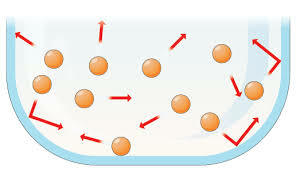 On increasing,the surface area, the pressure decreases. Broad handles are provided in suitcase and bags. Cutting edges of knife are sharp. Nails and pins have pointed ends. The gasses exert pressure on the walls of the containers. 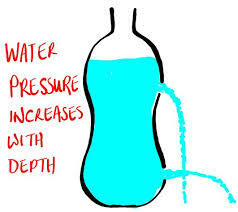 The pressure in the liquid increases with depth.